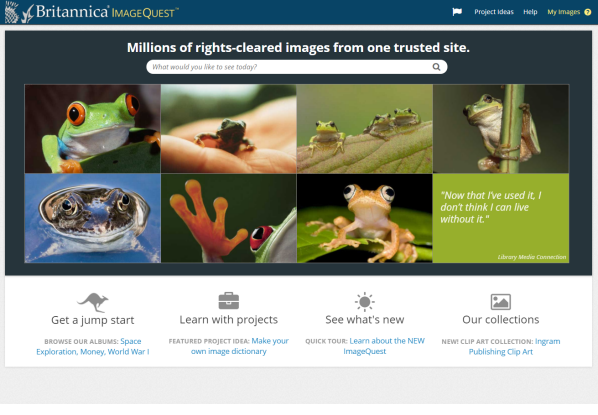 One Resource, Over 3 Million Images, Many Uses! 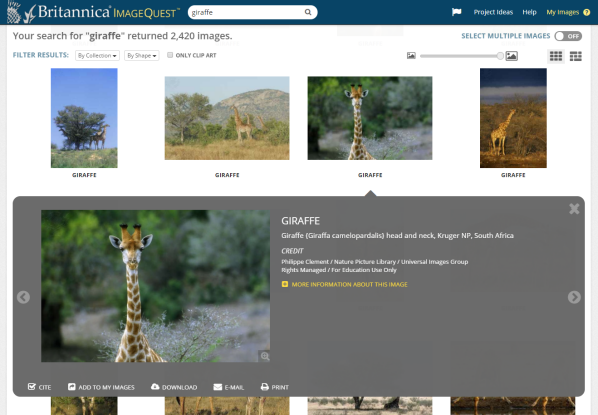 Britannica ImageQuest brings lesson plans, assignments and projects to life with over three million images from 62 leading collections…and growing! The Bridgeman Art Gallery, Getty Images, the Science Photo Library, Ingram Publishing, the National Geographic Society and other trusted image sources have joined with Britannica to provide the best and broadest offering of curriculum-relevant imagery and clip art materials (infographics, signs and symbols, graphic concepts and cool vector illustrations), all rights-cleared for educational, non-commercial use. Also available in Arabic, French, Japanese, Portuguese, Spanish, Turkish and Welsh! • School or Public Library Staff: PowerPoint presentations, lesson plans, multimedia reports, student newspapers, flyers and school websites. 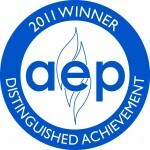 • Higher Ed: Course development, university publications, faculty research, student projects and student web pages. • Complete metadata for each image helps students learn both the importance of citations and how to use them accurately. Citation metadata is updated regularly to reflect changes in standards (such as the MLA 8 recent change in format). • Project ideas and image albums provide an immediate jump-start and spark additional applications for use. 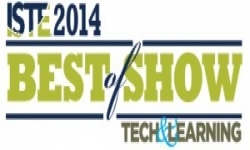 • Filter your results “By Shape”, “By Collection” and by using the newly added “ONLY CLIP ART” feature. • Automatically log in to your individual “My Images” account. 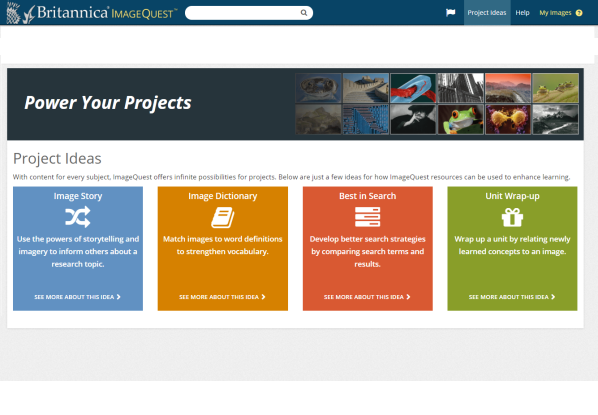 Great for accessing ImageQuest from home! 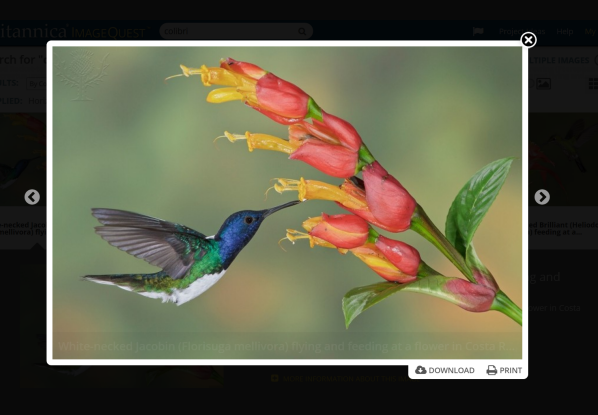 • Images can be downloaded to your computer desktop or Google drive, shared or printed. • Integration with Britannica School, Britannica Library, and Britannica Academic offers a streamlined ability to explore millions of related images right from the search results page (requires subscriptions to both databases).